Simmonds Dental Center specializes in Invisalign for Teens and Adults in Orlando Florida. Patients looking for a dentist skilled in the Invisalign treatment can schedule an appointment with Dr. Simmonds to find out how we can enhance your smile. No other method of straightening misaligned teeth offers the same level of comfort and confidence that you can get with Invisalign. It has become a preferred treatment among teens and adults, because of how simple and effective it is in achieving desired results in a shorter amount of time. 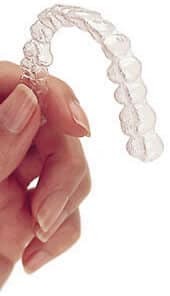 This innovative and cutting-edge treatment is totally comfortable and unobtrusive; Inivisalign aligners are virtually invisible so nobody will even know you’re wearing them. Moreover, they’re smooth, light, and removable, making it easier for you to brush and floss. This also means you won’t have to deal with poking wires, abrasions, and irritations caused by traditional metal braces. At Simmonds Dental Center, we work to ensure that our patients enjoy optimal health by providing them quality treatments. An improved smile contributes not only to the enhancement of your appearance, but to your overall oral health as well. Changing lives. One smile at a time. Call today to schedule your Invisalign consultation with Dr. Simmonds. We give families in Orlando Florida and the Metro West area of central Florida customized care for beautiful smiles and lasting oral health. Dr. Simmonds and her staff are exceptional when it comes to their care, customer service, and quality. I was referred to Dr. Simmonds by several coworkers and friends and I am so pleased that I went. I had a very painful wisdom tooth that needed to be removed. Dr. Simmonds and her staff were so kind in treating me and sent me off to a skilled oral surgeon. I would recommend this office to any and everyone! Had my first visit to Dr. Simmonds office today and it was an incredible customer experience. From the exceptionally helpful person at the front desk (Drea) who made me feel very welcome, was extremely helpful and supportive of the new patient sign in process, to my Dental Assistant (Ty) who went out of her way to make me feel comfortable with the office and the procedures, to Dr,. Simmonds who is a wonderfully talented, caring and compassionate doctor. It was a real pleasure meeting everyone and becoming a patient in their practice. All my life I have been afraid of the dentist(for personal reasons).. BUT, the staff here is so amazing! My anxiety is terrible and they made me feel so comfortable.. I did act like a complete kid when getting my deep cleaning, yet they still kept their cool and talked me through it.. From the time you walk through the door til the moment you leave, they all make you feel so welcome! Hands down the BEST dental practice ever! Simmonds Dental was a pleasant surprise. Upon entering, the admin staff was polite and genuinely looked like they were happy to be there. The dental assistant Yesse gave me a well informed tour of the facilities and was cheerful and funny. She showed me the rigorous cleaning process of the tools and it made me that much more comfortable. She asked me very detailed questions and Dr. Sonia gave me invaluable information about caring for my teeth that precious doctors had previously failed to impart. I’m glad I found this facility! I'm not one who write reviews often...but this is a "One of a Kind" dentist office. However, I thought I'd wait until I had a few visit...as EVERYONE will make a good first impression. Not only that, I left a dentist that my family had been with for over 25 years...that was very difficult to do! Dr. Simmons was referred by a very good friend of the family, so it was easy to at least try this NEW dentist at least once. Well, I walked in the door and the first thing I saw were SMILES! I was greeted as a member of a family, my eyes marveled at the cleanliness and the professionalism of the office. I completed the form using today's technology...not having to hold on to a clipboard with paper falling out and taking FOREVER to complete...was a blessing! Within seconds, I was called to take an excursion, a Welcome Tour of the facility by a staff member, to see the rooms, how they sterilize utensils, how things operate and meet the Doctors and staff...what an AWESOME and PLEASANT Experience!I love the openness of the rooms! As I sat in the chair, the assistant ask if I wanted to watch television and what channel I liked...and before I knew it...it was right in front of me! Then she ask if I was comfortable and would I like something to drink. She shared what she was getting ready to do and begin to take pics of my mouth with a camera...I didn't have to move! I thought, WOW! This is really "special"! The doctor came in and introduced herself...and in a flash, my mouth was on the TV screen right in front of me...and again I uttered, WOW! She did a thorough explanation of what we were looking at and gave recommendations. She was friendly, professional and showed interest in "me" and my well-being. I received a gift bag before leaving...everybody were kind, friendly and said their good-byes. The Office staff were very efficient and I left....telling all my family and friends about this WONDERFUL dentist that I can't wait for my next visit!I have been there twice since my first visit both times to get my teeth cleaned with Mr. Wayne Brown, the Hygienist. I have had cleanings more times than I can imagine....and most were horrible and painful. Again, this office and staff were welcoming, pleasant and prompt. The office staff had already signed me in and within minutes, Wayne was at the door to greet me. Both times I entered the room, he even offered me a drink and I watch my favorite television station. He explained what was going to occur today. He was careful in his cleaning, gave me some pointers in flossing in those tough areas in my mouth, and he did not rush...I never felt so comfortable! When he was finished, he put a warm sterile cloth over my mouth to remove any particles from the cleaning...boy, did that feel good! Simmonds Dental Center is truly a loving family place that comes highly recommended...and I'm sharing my experience with EVERYONE I know! Simmonds dental takes all your fears of both pain and cost away. I found this center when my own tooth became abscessed and I could ignore my dental treatment no more. I found a positive review on YELP and they hit the head on the nail with their own positive review. I scheduled an appointment and they saw me right away. They were very friendly and professional. They didn't scold me for ignoring my needed treatment, they helped me. I was scared to death of getting a tooth pulled but it turned out to be a painless and as pleasant as could be experience. Not only do I like the professionalism of the dental tech staff but also of the accounting staff. They thoroughly explain your financial obligations BEFORE treatment is rendered. Never had that done before. They work with you if you have no insurance by offering you an affordable plan of their own. They follow up after treatment to make sure you're doing ok. While I still can't say I love going to the dentist, I can truly say I no longer fear going and I know what I owe each and every visit. I couldn't give them a high enough rating. Simmonds Dental has such a wonderful office and professional staff! They were so kind and helpful with every question and concern, and they were attentive to any needs or discomfort I might have had. Will be coming back again! I am not sure why this review is coming up under my sons name LOL. Today I did have the pleasure to get my semi-annual teeth cleaning. The staff are amazing!! I must give kudos to Mr. Wayne and Dr. Simmonds for doing an amazing job with my cleaning. Mr. Wayne is very professional and he is GREAT at what he does. I will admit that I do not like going to the dentist but everyone that I have encountered thus so far has made this a great experience for me. If you ever need a great cleaning this is the place to come to. I don't want to sound bias but Mr. Wayne is the man LOL!!! Great job to you all and God bless!!!! Simmonds Dental Center is the most professional & hospitable organization I have been associated with! They offer quality care, provide education and incentives for clients, and are extremely efficient and effective in what they do. The staff are personable and Dr. Simmonds is an astounding leader both in and outside of the dental profession. I will never need to search for dental care again thanks to Simmonds Dental! You will not find better! The staff was very friendly and professional. They had a great concierge service with beverages and a VIP tour of their facility. Every employee i interacted with from check-in to checkout was not only friendly, but very thorough with answering any questions i had about my diagnosis. I definitely understand why you guys are a 5 star facility. Keep up the great work! THIS WAS MY NEW PATIENT VISIT. IT WAS A VERY GOOD PRESENTATION. MY TOUR GUIDE MS. YESSE WAS VERY KNOWLEDGEABLE ABOUT THE OFFICE AND IT'S STAFF. MY X-RAYS AND EXAMINE WENT WELL. I WAS EXPLAINED, WHAT NEEDED TO DONE TO MY TEETH TO KEEP THEM IN GOOD WORKING CONDITION. I LOOK FORWARD TO BE A PATIENT WITH DR. SIMMONDS AND HER STAFF. After my first visit to Simmonds Dental I must say the people working there are all awesome and treating me very well beyond my expectations. i am really happy with the service i was given, especially from Jessie. Jessie was delightful, she took care of me during my time, answered any questions i had, and gave me a nice tour of their office. i was amazed by their teamwork and how i was able to be at ease, coming from someone does not enjoy visiting the dental office. I would definitely give Simmonds Dental 2 thumbs up. Great Place! I love treating patients of all ages and delivering quality dentistry for more beautiful, healthy miles. As your dentist, I will treat you as if you are my own family. For your comfort and safety, we use modern technology and adhere to stringent sterilization practices. Simply stated, we care about you and your smile.